When you hear the name Tim Tebow do you think of a two-time national champion, Heisman Trophy winner, and first round NFL draft pick? Or do you think of a hard working man who is living his life daily for the Lord with a charismatic and outspoken faith? Tim Tebow. Some know him as a Florida Gator Heisman Trophy Winner and 2-time National Champion. Others recognize the name thanks to the 2011 “#tebowing” craze, where one takes a knee in a praying position and posts it online. Still others recognize him as an outspoken Christian with questionable athletic abilities, and more recently some recognize him as an aspiring baseball professional. Personally, I’ve always seen Tebow as an athlete who likes competing, but loves the Lord. Given his athletic talents, he has been given an incredible platform in the public eye and uses it to glorify God with every step and through every season of his life. 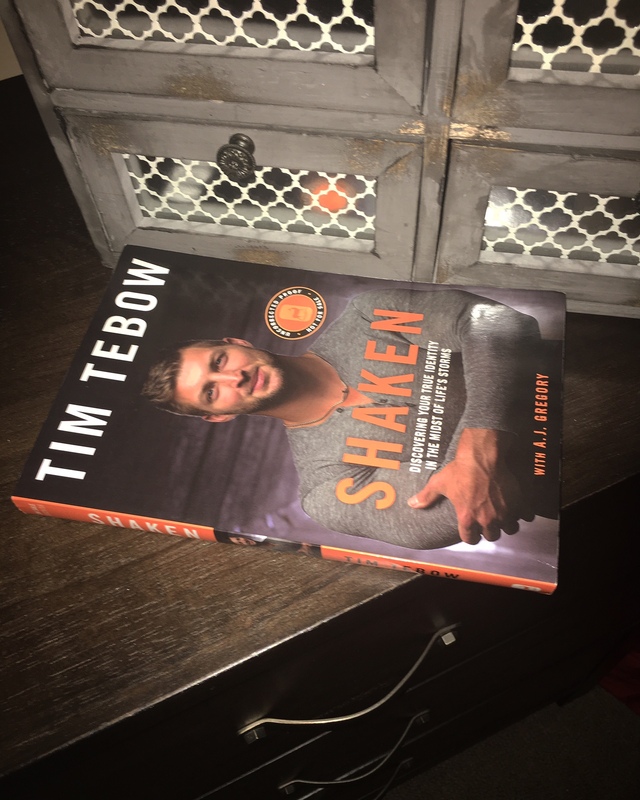 Shaken, written by Tim Tebow, is a journey through the different seasons of his life, where he uses real life examples and even his struggles to encourage others to discover their true identity in the midst of life’s storms! 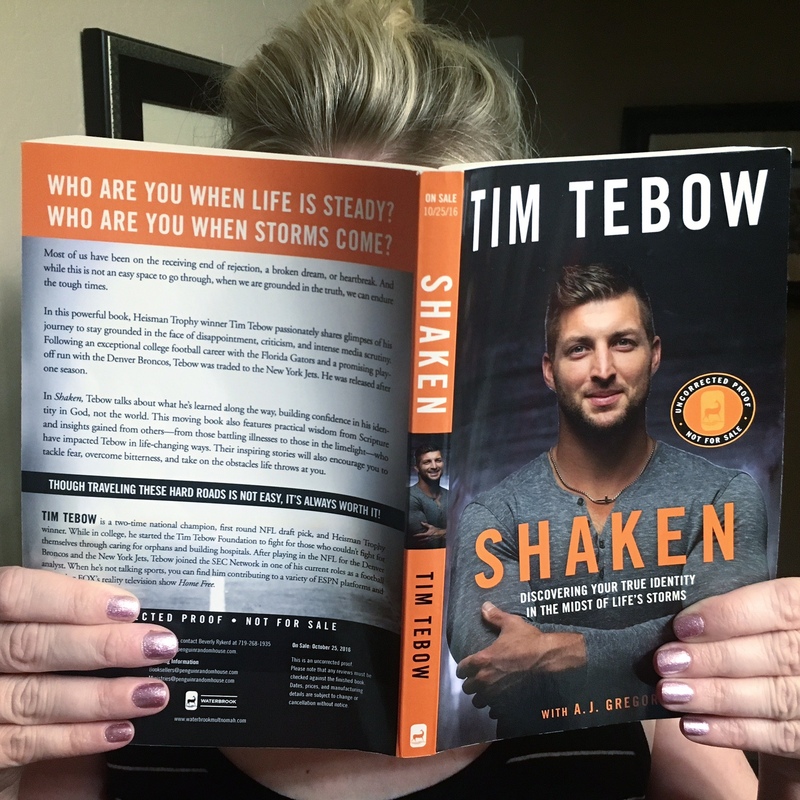 As you might already know from what you have read or seen through the media, Tebow’s journey has certainly had it’s ups and downs… just like all of us. In his book, I love how open and honest he is about what he has learned along the way. You will love his transparency and relatability as he relives his personal highlight reel and takes you through the less than glorious times as well. I loved reading about what he was thinking behind closed doors and away from the media, as he was going through both the good and the bad. 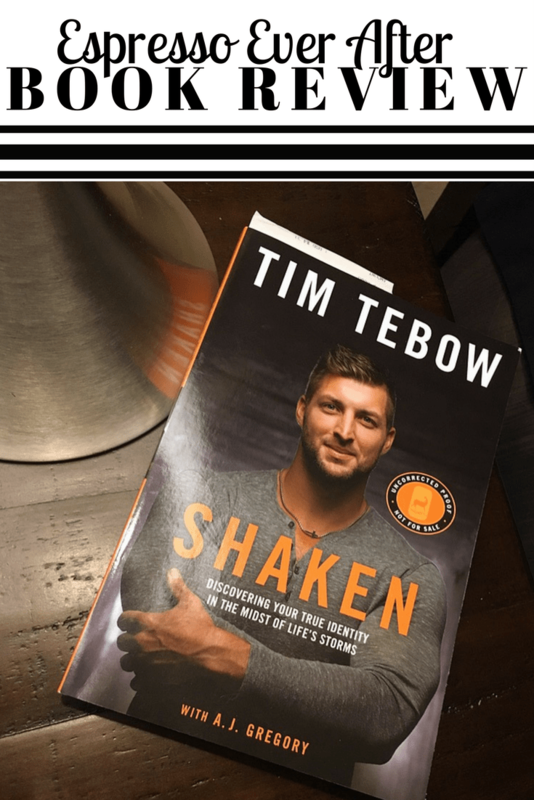 Shaken is written in a 3-part format of his football career and family life, with intertwining inspiring stories and scriptures. If you are looking for a memoir specific book, this is not it. However, Tebow does focus on defining football moments from his life and highlights those that have influenced him along the way. So if you are a football fan like me, tune in because you will love hearing the snippets into his personal sports journey and how it has made him the man he is today. What I loved most was learning about his foundation, W15H (prounounces “wish”) and all of the good it continues to share with the world. His foundation’s mission is to bring faith, hope and love to those needing a brighter day in their darkest hour of need. After reading this book, you will see just how magical this foundation is and how special those being touched by it truly are. I loved reading about Tebow’s understanding that even though he is famous, he is not perfect. He believes in the power of surrounding himself with loving and supportive friends and family, and encourages his readers to do the same. I also appreciate the fact that he does not sugar coat anything… He airs out his dirty laundry, but doesn’t allow his personal turmoil to define him as a man. His story is a very relatable story, and one that is sure to inspire all of us! I gained so much by reading this book. Yes, I must admit that I was a Tebow fan before I opened this book, but I finished it a bigger fan for so much more than just his athletic abilities. If I take just one lesson from this book, it’s to to be grounded in my faith so I have strength to face fear, doubt, and criticism head on in order to think beyond myself and find ways to impact and make a difference for others. 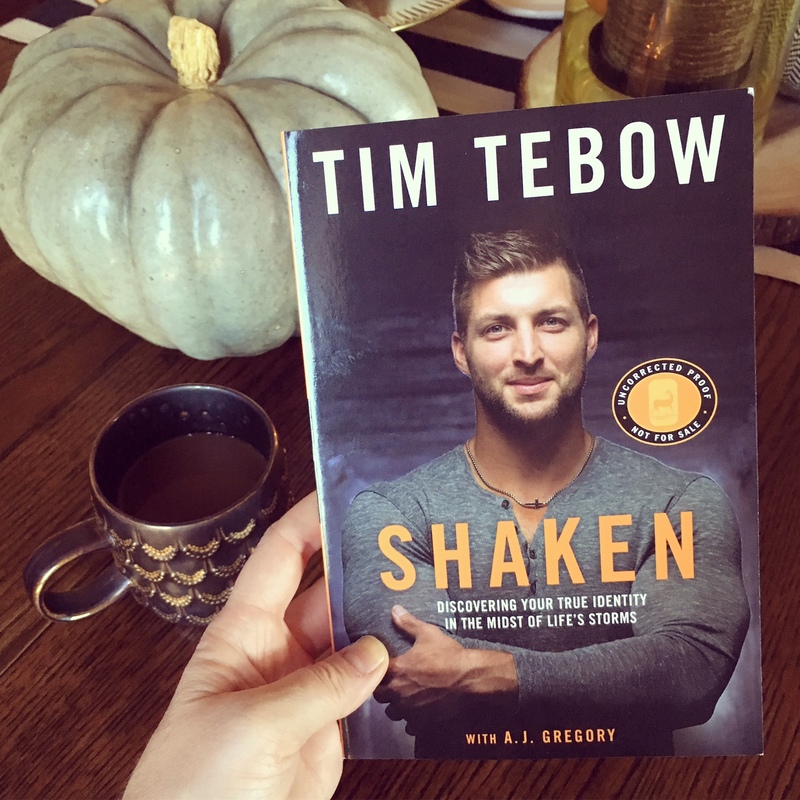 Shaken is the perfect book for just about anyone in your life; the avid sports fan, the teenager in need of a positive role model and anyone in need of encouragement to tackle fear, overcome bitterness and take obstacles head on. My husband has requested to read it next, but beyond him, this is a book that I am excited to pass along! I’d encourage you to pick up this book and let it go to work in your life for whatever season you find yourself in! Click HERE to purchase your favorite format of Shaken. I received this book from Blogging for Books for this review. All thoughts and opinions are 100% my own. This post contains affiliate links. If you decide to make a purchase through my link, I will make a small commission for it. This doesn’t cost you anything additional. These commissions help to keep the rest of my content free. Thank you! You and your hubby would love it! I love Tim Tebow and his strong faith! I need to check this book out! Yes, easy and enjoyable read! My husband would probably enjoy reading this! Yes, I gave it to my hubby early for Father’s Day! He is loving it! I’m always on the lookout for a good inspiring read! Adding this to my Amazon list! I had no idea he was anything but an old football player! This sounds like a great book. Thanks for the review! Yes, it is very encouraging and inspiring! What a great review! I loved watching him in college and was sad when the NFL didn’t pan out well but was always inspired by his unwavering show of faith. Sounds like a great book! 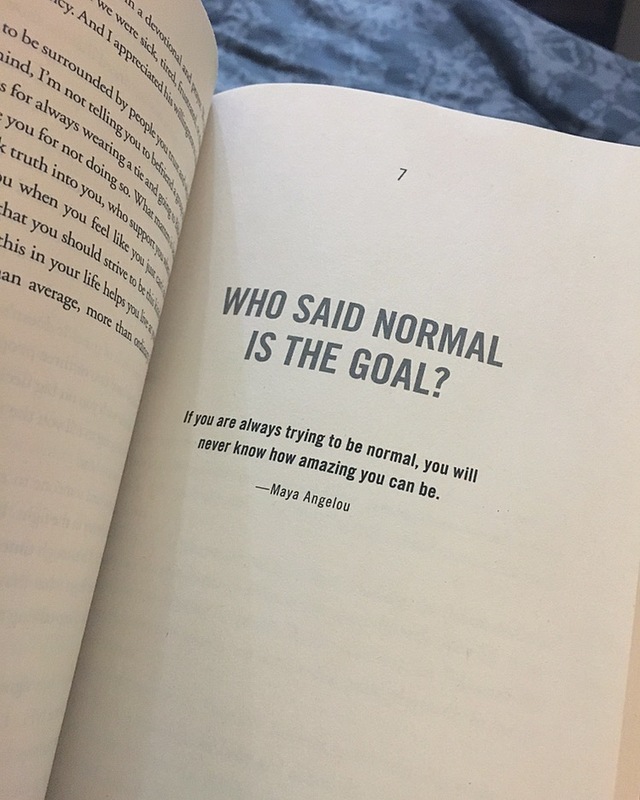 Shannon – I can tell you are already a fan, you would enjoy this book! I have so much respect for him and would probably really enjoy this read!! Me too! Going into this I already loved what he stands for, and after reading it I want to share it with everyone! I’m not very familiar with Tim Tebow but this sounds like an awesome book! I’ll definitely check it out this summer – I need good books to read for an upcoming road trip! This is a good one then! I love that he uses his platform to share his faith! I need to read this soon! Yes, he is fearless and because of that he is touching so many! Wow! This sounds like such an inspirational read. 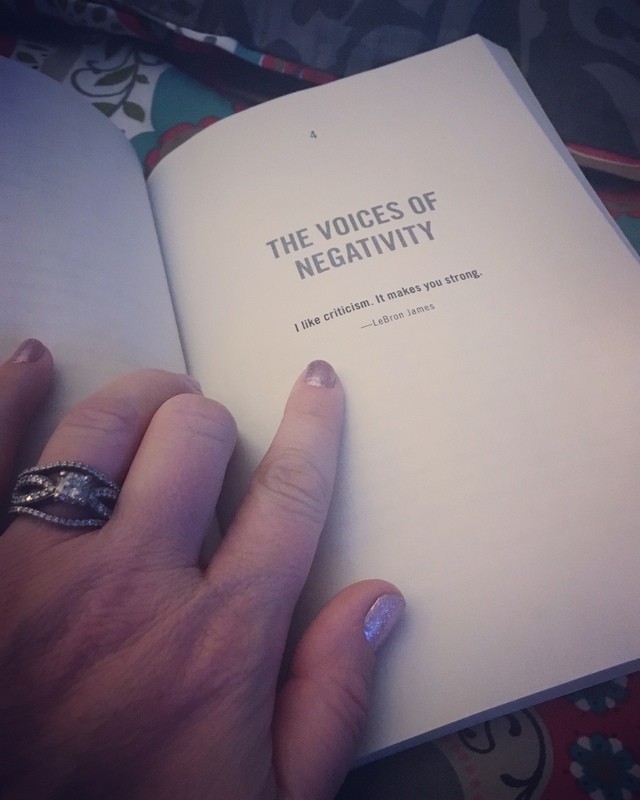 As a blogger and small business owner, I am always in need of a new inspirational read. I like my 15 minutes of me time to read books like this. I’m going to grab this book from Amazon. Thank you so much! Nikki, this sounds like it would be a great read for you!